[i am a dekaphobic]: [UPDATED] 4th Anniversary Giveaway #2: Made in Candy! [UPDATED] 4th Anniversary Giveaway #2: Made in Candy! Let's keep the ball rolling with another giveaway, this time from Made in Candy Philippines! This promo is valid for multiple transactions with the limit of Php 1400 worth of purchase. Items must be availed during the promo period only. 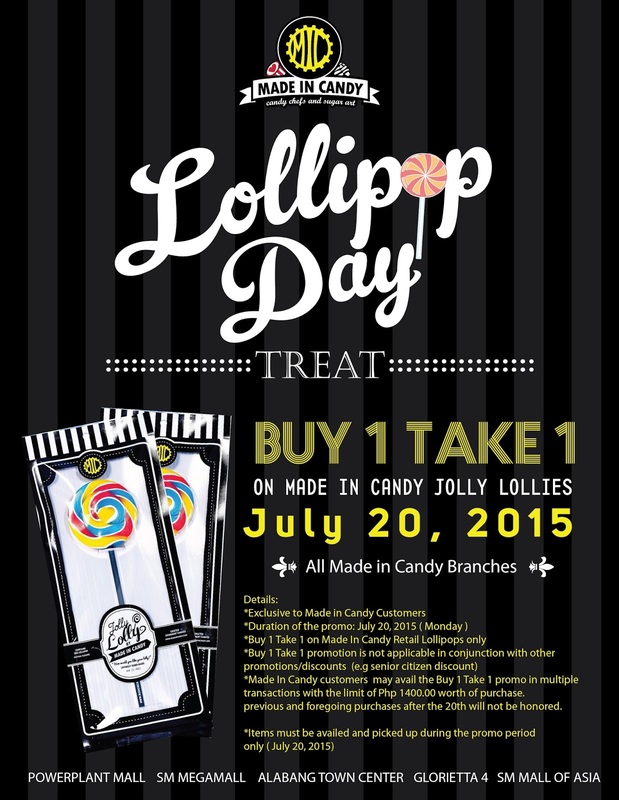 Four winners will get a special bag from Made in Candy Philippines (worth Php 410), the special bag contains: (1) 35g Small Jar of Everything, (1) 70g Medium Jar of Everything, (1) 70g Bag of Everyhing and (1) Jolly Lolly. 4. Giveaway ends on July 18, 2015. Thanks to DJ Guinto of Made in Candy for this giveaway.